When you’re looking to upgrade your daily drives and weekend excursions alike, buy or lease a new 2018 Nissan Murano. This Nissan SUV offers advanced safety features, cozy cabin amenities and a potent powertrain, so you can drive home in a Nissan that fits all your wants and needs. Visit our Nissan dealership near Naperville, IL, for a Nissan Murano test-drive today! 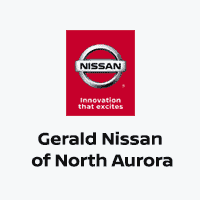 Visit Gerald Nissan of North Aurora to test-drive a 2018 Nissan Murano and fall in love with this incredible Nissan SUV. Our Nissan finance team is ready to help you buy or lease the Nissan Murano of your dreams.